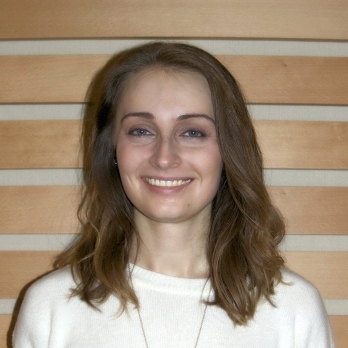 Justyna Bartoszko graduated from the University of Toronto with an Honours Bachelor of Science in 2009 with High Distinction. She obtained her Doctor of Medicine from the University of Toronto in 2013, and subsequently remained in Toronto as a post-graduate resident physician in the Department of Anesthesia. She is currently completing graduate work with the Institute of Health Policy, Management and Evaluation in Clinical Epidemiology. In the past she has been a co-author on publications in Cancer Cell, Nature Medicine, and Clinical Lymphoma, Myeloma & Leukemia. She has been a recipient of the American Society of Hematology Trainee Research Awards in 2010 and 2012. Current active areas of research include a number of diverse projects, such as understanding the relationship between various common health attributes such as anemia, deconditioning and increased surgical risk; generally improving outcomes for higher risk surgical patients; describing Canadian anesthetic practice patterns in congenital cardiac conditions; and completing ongoing work related to outcomes in myeloproliferative neoplasms. Dr. Bell’s area of research focus is neuroprotection in traumatic brain injury, subarachnoid hemorrhage and stroke. He received his MD and PhD from the University of Toronto, studying the intracellular mechanisms of neuronal injury in various models of trauma in graduate school and post-doctoral work. He has received peer-reviewed funding from the Ontario Neurotrauma Foundation, Physician Services Incorporated, the Canadian Anesthesiologists Society, the Canadian Stroke Network, the Natural Science and Engineering Research Council of Canada, and is the recipient of the PGME Starr Medal. He was also the recipient of the Michael Goldberger award of excellence from the International Neurotrauma Society for his work on novel mechanisms of cell death in brain trauma and development of a neuroprotective peptide. Dr. Bell has published widely on the subject of neuron injury in stroke and trauma, continues to be an ad hoc reviewer for a number of cellular neuroscience journals, and was an invited speaker and visiting scientist at the prestigious Spinal Cord and Brain Injury Research Program (ScOBIRC) at the University of Kentucky. Based on his work in the lab, he is currently the co-principal investigator of a translational research trial in the intensive care unit at St. Michael’s Hospital testing a new therapy for neuroprotection during delayed cerebral ischemia following subarachnoid hemorrhage in patients. 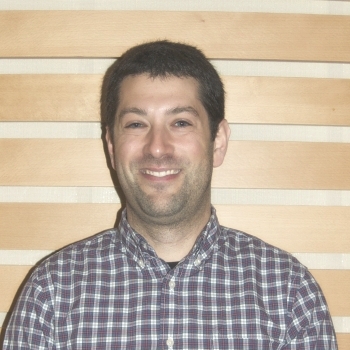 During residency, he is pursuing further clinical training in neuroimaging and neuronal biomarker arrays. 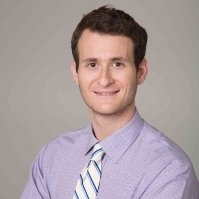 Neil Goldenberg completed with MD/PhD Program at The University of Toronto in 2011. 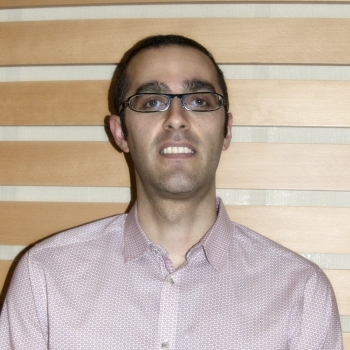 His PhD work, completed under Dr. Mel Silverman and funded by a CIHR Studentship, focused on vesicle trafficking pathways leading to glomerular scarring in diabetic nephropathy. Neil then entered the Anesthesia residency program in the Clinician-Investigator stream. During that time, he completed a two year postdoctoral fellowship under Dr. Wolfgang Kuebler at St. Michael’s Hospital. His research at that time focused on hypoxic lung disease, using animal models to derive a mechanistic understanding of the pathophysiology of acute hypoxic pulmonary vasoconstriction, and chronic hypoxic pulmonary hypertension. His ongoing work focuses on inflammatory drivers of pulmonary hypertension. During this time, he received resident research awards from the Canadian Anesthesiologists’ Society and Physician’s Services, Incorporated. His work was published in highly respected journals, including Anesthesiology, and Proceedings of The National Academy of Sciences. Now completing his residency, Neil aspires to become a full-time clinician-scientist, with his own laboratory investigating translational models of pulmonary vascular disease. 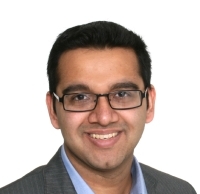 Ashwin Sankar completed a Bachelor of Health Sciences at McMaster University, followed by Doctor of Medicine at the University of Toronto, and is currently completing residency training in University of Toronto’s Department of Anesthesia. He is embarking on a graduate degree with the Institute of Health Policy, Management and Evaluation at the University of Toronto. He has previously been involved in a multitude of projects: starting from an undergraduate thesis in neuroimmunology, evolving to clinical research exploring postoperative outcomes, and now including risk stratification for surgical patients. His current research interests include identifying patients at risk of postoperative pulmonary complications and developing strategies to mitigate this risk. Lavarnan completed his undergraduate degree in cell and molecular biology at the University of Toronto. He then went on to pursue his Doctor of Medicine and post graduate training in Anesthesiology at the University of Toronto. He is currently pursuing graduate studies in clinical epidemiology at the Institute of Health Policy, Management and Evaluation. 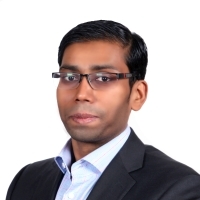 During his Doctor of Medicine training, Lavarnan was involved in multiple research projects understanding the pharmacology behind novel chemotherapeutics for metastatic prostate cancer. He has been first-author and co-author in highly respected journals including European Journal of Cancer, The Prostate and Biomarkers in Medicine. He has also co-authored two text book chapters concerning novel forms of chemotherapy and the pharmacology behind them. Two of his projects have been presented at the national level during the Canadian National Medical Student Research Symposium. He has been the recipient of Lela Parlow Memorial Cancer Research Fellowship and the CIHR Health Professional Student Research Award in the past. Currently, He is involved in examining trends and improving long-term outcomes after critical care illness and treatment within Ontario. He is also involved in examining the trends in the management of patients post cardiac arrest and variations between hospitals within Ontario. Benjamin completed his undergraduate degree in physiology and mathematics at McGill University before entering the University of Toronto MD/PhD program. His graduate studies in Cell Biology under the supervision of Dr Sergio Grinstein (Sickkids, Toronto) investigated how immune cells engage and clear invading microorganisms. As part of the Clinician Investigator Program in Anesthesiology, he subsequently conducted post-doctoral training with Dr Kevin Tracey (Feinstein Institute for Medical Research, New York) and Dr Tak Mak (University Health Network, Toronto), studying how the peripheral nervous system controls immune responses as well as how specific cells of the immune system modulate hemodynamic processes, such as blood pressure. Together, these experiences led to his current research focus in bioelectronic medicine that aims to target specific neural reflexes in order treat inflammatory diseases. To that end, using pre-clinical models, Benjamin is delineating anti-inflammatory neural circuits that can be activated with electrical stimulators. Characterizing this interface between the nervous system and immune response will inform the development of electrical therapies for the treatment of clinical syndromes relevant to peri-operative and critical care medicine, including sepsis, ischemia-reperfusion injury, and post-operative cognitive dysfunction.